On the expanding cost of non-inexhaustible assets, sustainable assets are increasingly sought after. In this system, we make utilization of Vertical Axis Wind Turbine for creating energy, for the inverter. 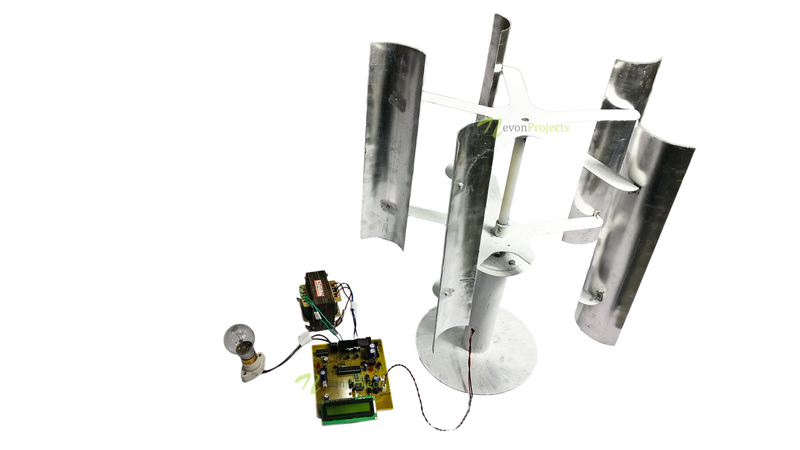 A Vertical Axis Wind Turbine is a kind of wind turbine where the principle rotor shaft is set transverse to the breeze while the fundamental parts are situated at the base of the turbine. 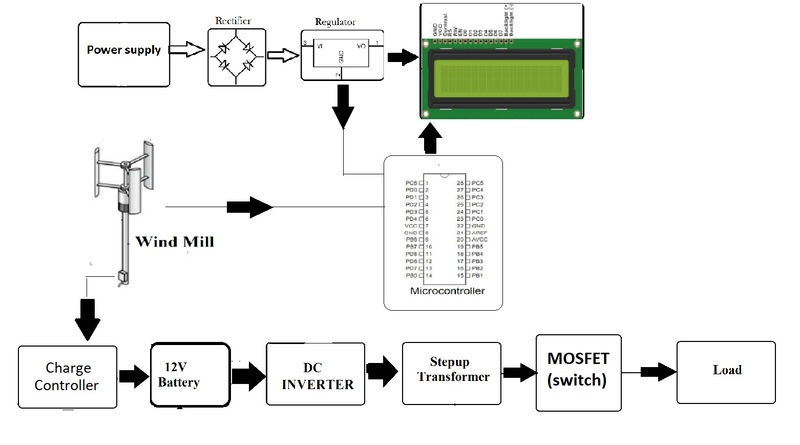 This framework is controlled by ATmega 328 microcontroller, it comprises of a vertical axis windmill, DC motor, 12V battery, DC inverter, MOSFET switch, LCD and transformer. The windmill produces mechanical energy when wind courses through the turbine. This mechanical energy is changed over into electrical energy by dynamo, the power esteems are shown on LCD. 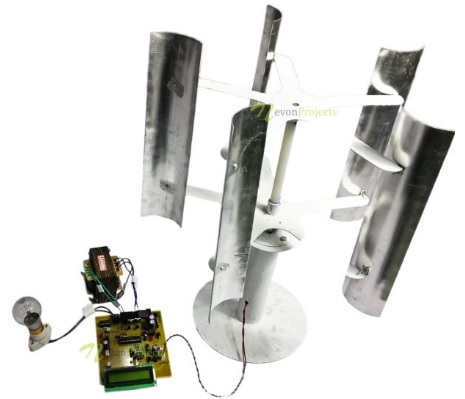 The Vertical Axis Windmill converts the energy of wind into kinetic energy by means of blades, and charges the 12V battery. As the battery is switched on, the inverter changes over DC into AC and the step-up transformer expands the voltage, required to run the device. MOSFET is a transistor which manages the voltage and after that the load is powered.